A FIDE Rated Open, U1900 Major & U1600 Minor with a combined Prize Fund of £1,340. Each player will be allowed 20 minutes for all their moves + 10 seconds per move. Re-pairing will take place 10 minutes after the start of a round. Players who have not arrived will be defaulted 10 minutes after the scheduled start of a round. 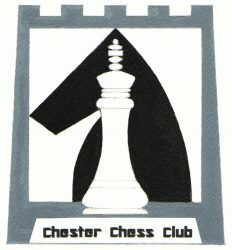 Payment by bank transfer: Chester Chess Club, Sort Code: 09-01-50, Account Number: 03474313. Please put your surname & forename in the reference field. This method of payment is preferred. Cheques & Postal Orders should be made payable to Chester Chess Club and sent with your entry form to: Graham Bromley, 30 Knowsley Road, Hoole, Chester, CH2 3RL.